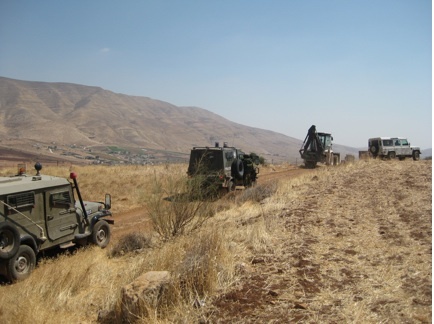 The Israeli military has carried out demolitions and handed out five new demolition orders, on Thursday, Ma’an News reports.In the Jordan Valley village of al-Aqaba two houses and a barn were demolished. Aqaba was subjected to a series of demolitions in April of this year, destroying homes and roads, and all but seven houses in the village have demolition orders outstanding. The demolition orders have been given to five families in the village of Khallet al-Hajjar, near Hebron, and all concern each family’s home. Popular committee coordinator in Yatta, Rateb al-Jabour, told Ma’an that the orders all stated that the homes would be demolished for security reasons.